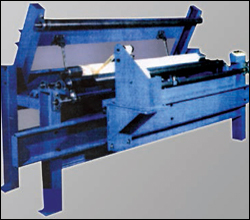 ZENITH three roll builder machines are specially developed for making printing rollers from rubber sheet. Maximum Weight of Roller 100 kg. Drive Motor 1 H.P. D.C. compiled with reduction Gearbox.